This collection of essays reveals a carefully organized and convincing explanation by Albrecht about the interconnection between soil, plants and animals - that everything is related to everything else. 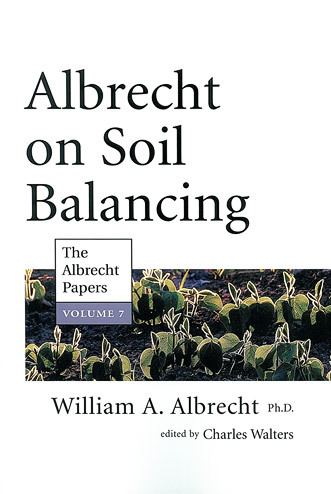 In these papers Albrecht reveals the importance of the balance equation, that it isn't enough to have nutrient to soil connections, it is the ratio of one element to another that counts. Albrecht's insight further reveals that an ounce of prevention in the form of balanced plant nutrition from fertile soils is better than a pound of cure using dangerous poisons. Albrecht's work provides an indispensable foundation for anyone interested in sustainable, ecologically responsible agriculture.